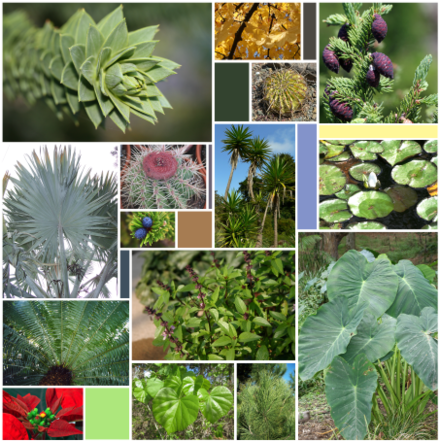 An autotroph or producer, is an organism that produces complex organic compounds from simple substances present in its surroundings, generally using energy from light or inorganic chemical reactions. They are the producers in a chain, such as plants on land or contrast to heterotrophs as consumers of autotrophs). 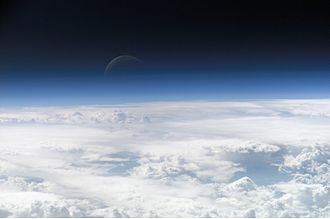 They do not need a source of energy or organic carbon. Autotrophs can reduce carbon dioxide to organic compounds for biosynthesis. Most autotrophs use water as the agent, but some can use other hydrogen compounds such as hydrogen sulfide. Some autotrophs, like plants and algae, are phototrophs. 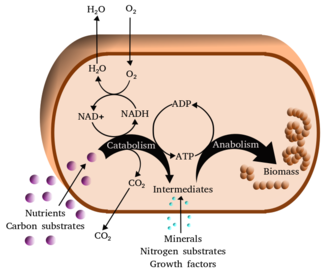 Autotrophs can be photoautotrophs or chemoautotrophs, lithotrophs use inorganic compounds, such as hydrogen sulfide, elemental sulfur and ferrous iron, as reducing agents for biosynthesis and chemical energy storage. Photoautotrophs and lithoautotrophs use a portion of the ATP produced during photosynthesis or the oxidation of inorganic compounds to reduce NADP+ to NADPH to form organic compounds, the greek term autotroph was coined by the german botanist Albert Bernhard Frank in 1892. Some organisms rely on organic compounds as a source of carbon, such organisms are not defined as autotrophic, but rather as heterotrophic. Evidence suggests that some fungi may obtain energy from radiation, such radiotrophic fungi were found growing inside a reactor of the Chernobyl nuclear power plant. Autotrophs are fundamental to the chains of all ecosystems in the world. They take energy from the environment in the form of sunlight or inorganic chemicals and this mechanism is called primary production. 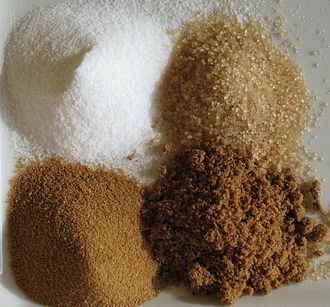 Other organisms, called heterotrophs, take in autotrophs as food to carry out functions necessary for their life. Thus, heterotrophs — all animals, almost all fungi, as well as most bacteria and protozoa — depend on autotrophs, or primary producers, for the energy, heterotrophs obtain energy by breaking down organic molecules obtained in food. 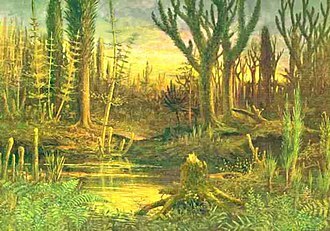 Carnivorous organisms rely on autotrophs indirectly, as the nutrients obtained from their heterotroph prey come from autotrophs they have consumed, most ecosystems are supported by the autotrophic primary production of plants that capture photons initially released by the sun. A xerophyte is a species of plant that has adapted to survive in an environment with little liquid water, such as a desert or an ice- or snow-covered region in the Alps or the Arctic. The morphology and physiology of xerophytes are variously adapted to conserve water, other species may be adapted to survive long periods of desiccation of their tissues, during which their metabolic activity may effectively shut down. Plants with such morphological and physiological adaptations are xeromorphic, Plants absorb water from the soil, which evaporates from their outer surfaces, this process is known as transpiration. In dry environments, a plant would evaporate water faster than the rate at which water was replaced in the soil. To reduce this effect, xerophytic plants exhibit a variety of specialized adaptations to survive in such conditions and other succulents are commonly found in deserts, where there is little rainfall. Likewise, chaparral plants are adapted to Mediterranean climates, which have wet winters, Plants that live under arctic conditions have a need for xerophytic adaptations, since water is unavailable for uptake when the ground is frozen. Succulent plants store water in their stems or leaves and they include the Cactaceae family, which has round stems and can store a lot of water. The leaves are vestigial, as in the case of cacti, wherein the leaves are reduced to spines. Xerophytes are commonly found in environments, where plants such as pineapples. Water is stored in the bulbs of plants, at or below ground level. 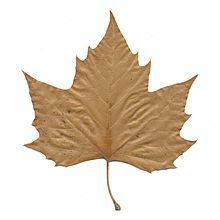 They may be dormant during drought conditions and are, therefore, if the water potential inside a leaf is higher than outside, the water vapour will diffuse out of the leaf down this gradient. This loss of water vapour from the leaves is called transpiration, transpiration is natural and inevitable for plants, and much water is lost through this process. However, it is vital that plants living in dry conditions are adapted so as to reduce water loss and decrease the size of the open stomata. It is important for a plant living in conditions to conserve water because, without enough water. If the plant loses too much water, it will pass its permanent wilting point and it is important to note, that whilst it is vital to keep stomata closed, they have to be opened for gaseous exchange in photosynthesis. Vascular tissue is a complex conducting tissue, formed of more than one cell type, found in vascular plants. The primary components of vascular tissue are the xylem and phloem and these two tissues transport fluid and nutrients internally. 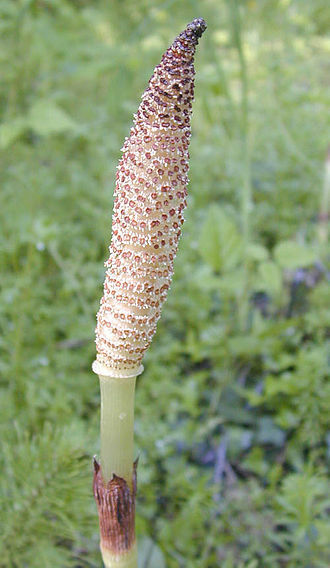 There are two meristems associated with tissue, the vascular cambium and the cork cambium. 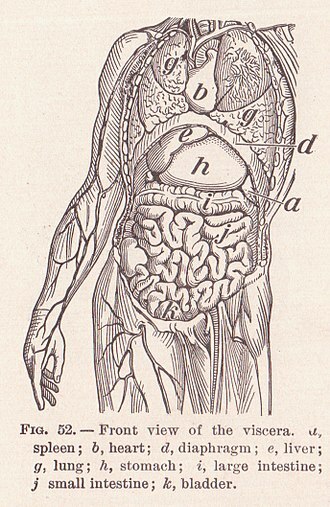 All the vascular tissues within a particular plant together constitute the vascular system of that plant. 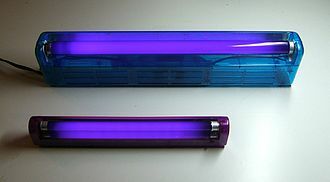 The cells in tissue are typically long and slender. 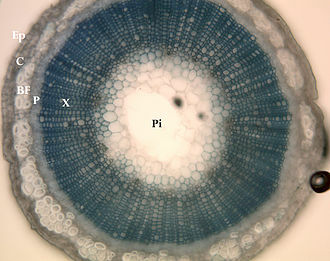 Since the xylem and phloem function in the conduction of water, the individual cells of phloem are connected end-to-end, just as the sections of a pipe might be. 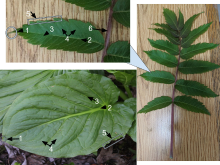 As the plant grows, new vascular tissue differentiates in the tips of the plant. 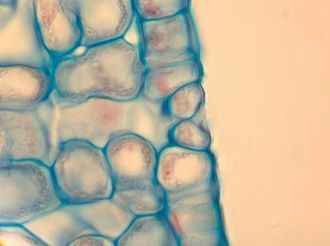 The new tissue is aligned with existing vascular tissue, maintaining its connection throughout the plant, the vascular tissue in plants is arranged in long, discrete strands called vascular bundles. These bundles include both xylem and phloem, as well as supporting and protective cells, in stems and roots, the xylem typically lies closer to the interior of the stem with phloem towards the exterior of the stem. In the stems of some Asterales dicots, there may be phloem located inwardly from the xylem as well, between the xylem and phloem is a meristem called the vascular cambium. This tissue divides off cells that become additional xylem and phloem. This growth increases the girth of the plant, rather than its length, as long as the vascular cambium continues to produce new cells, the plant will continue to grow more stout. 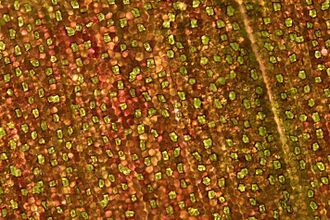 In trees and other plants that develop wood, the vascular cambium allows the expansion of vascular tissue that produces woody growth, because this growth ruptures the epidermis of the stem, woody plants have a cork cambium that develops among the phloem. The cork cambium gives rise to thickened cork cells to protect the surface of the plant, both the production of wood and the production of cork are forms of secondary growth. In leaves, the bundles are located among the spongy mesophyll. 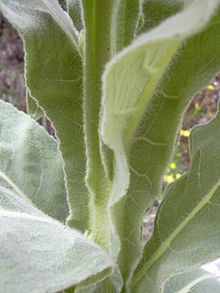 The xylem is oriented toward the surface of the leaf. This is why aphids are typically found on the underside of the rather than on the top, since the phloem transports sugars manufactured by the plant. In botany, a stoma, called a stomate, is a pore, found in the epidermis of leaves and other organs, that is used to control gas exchange. The pore is bordered by a pair of specialized cells known as guard cells that are responsible for regulating the size of the stomatal opening. The term is used collectively to refer to the entire stomatal complex, consisting of the paired guard cells and the pore itself. Air enters the plant through these openings by gaseous diffusion, and contains carbon dioxide and oxygen, oxygen produced as a by-product of photosynthesis diffuses out to the atmosphere through these same openings. 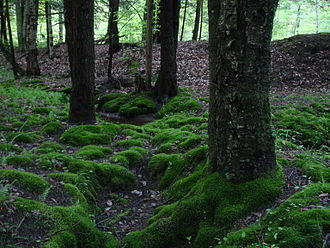 Also, water vapor is released into the atmosphere through these pores in a process called transpiration, stomata are present in the sporophyte generation of all land plant groups except liverworts. Dicotyledons usually have more stomata on the lower epidermis than the upper epidermis, monocotyledons, on the other hand, usually have the same number of stomata on the two epidermes. 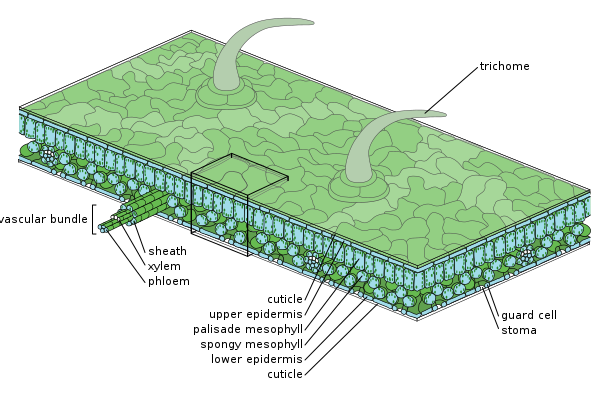 In plants with floating leaves, stomata may be only on the upper epidermis. 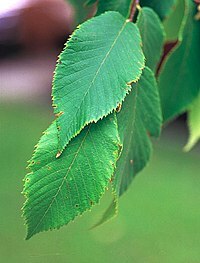 Most tree species have leaves only on the lower surface, size varies across species, with end-to-end lengths ranging from 10 to 80 µm and width ranging from a few to 50 µm. Carbon dioxide, a key reactant in photosynthesis, is present in the atmosphere at a concentration of about 400 ppm, most plants require the stomata to be open during daytime. 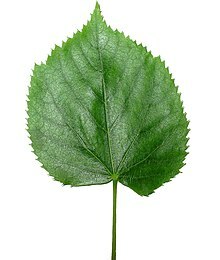 The air spaces in the leaf are saturated with water vapour, which exits the leaf through the stomata, plants cannot gain carbon dioxide without simultaneously losing water vapour. 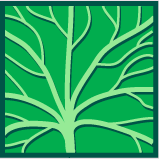 Ordinarily, carbon dioxide is fixed to ribulose-1, 5-bisphosphate by the enzyme RuBisCO in mesophyll cells exposed directly to the air spaces inside the leaf. For both of these reasons, RuBisCo needs high carbon dioxide concentrations, which means wide stomatal apertures and, as a consequence, narrower stomatal apertures can be used in conjunction with an intermediary molecule with a high carbon dioxide affinity, PEPcase. 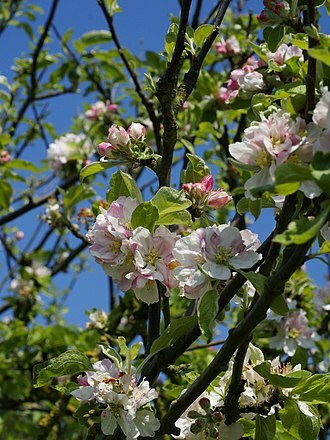 The epidermis is a single layer of cells that covers the leaves, flowers and stems of plants. It forms a boundary between the plant and the external environment, the epidermis serves several functions, it protects against water loss, regulates gas exchange, secretes metabolic compounds, and absorbs water and mineral nutrients. The epidermis of most leaves shows dorsoventral anatomy, the upper and lower surfaces have somewhat different construction, woody stems and some other stem structures produce a secondary covering called the periderm that replaces the epidermis as the protective covering. 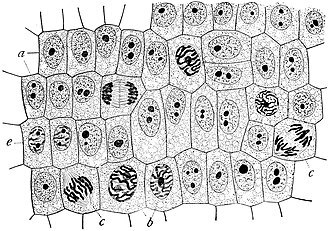 The epidermis is the outermost cell layer of the plant body. 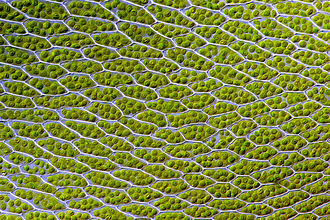 Most plants have an epidermis that is a cell layer thick. Some plants like Ficus elastica and Peperomia, which have periclinal cellular division within the protoderm of the leaves, have an epidermis with multiple cell layers, epidermal cells are tightly linked to each other and provide mechanical strength and protection to the plant. The walls of the cells of the above ground parts of plants contain cutin. 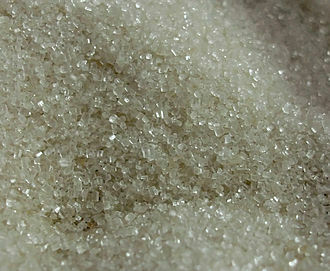 The cuticle reduces water loss to the atmosphere, it is covered with wax in smooth sheets. The wax layers give some plants a whitish or bluish surface color, surface wax acts as a moisture barrier and protects the plant from intense sunlight and wind. 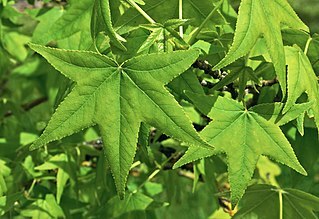 The underside of leaves have a thinner cuticle than the top side. The epidermal tissue includes several differentiated cell types, epidermal cells, guard cells, subsidiary cells, the epidermal cells are the most numerous and least specialized. These are typically more elongated in the leaves of monocots than in those of dicots, trichomes or hairs grow out from the epidermis in many species. In root epidermis, epidermal hairs, termed root hairs are common and are specialized for absorption of water, in plants with secondary growth, the epidermis of roots and stems is usually replaced by a periderm through the action of a cork cambium. 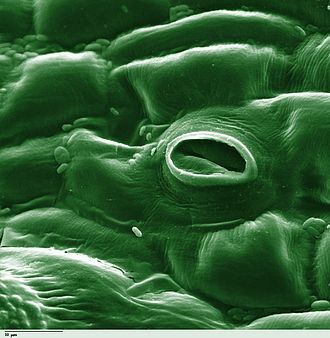 The stomatal complex regulates the exchange of gases and water vapor between the air and the interior of the leaf. In plant morphology, a cataphyll is a reduced, small leaf. 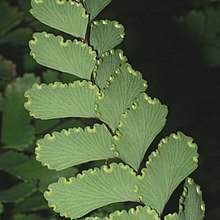 Many plants have true leaves which perform the majority of photosynthesis, and cataphylls that are modified to perform other specialized functions. 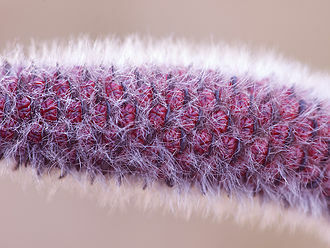 Cataphylls include bracts and bud scales, as well as any small leaves that resemble scales, some cataphylls have a primary function other than photosynthesis. The functions of such as bud scales may be short-lived. 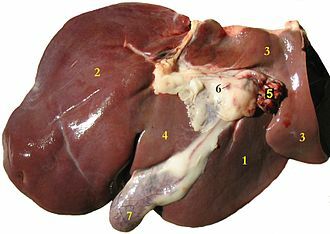 From the Greek Ancient Greek, κατά, Ancient Greek, φύλλον, some kinds of cataphylls perform a transient function, after which they die and may be shed. 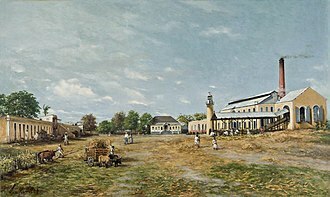 Those that are shed early are said to be caducous, but that term can apply to any organ that is shed early, not only leaves, for example, many Geraniums have caducous stamens. The sepals of Papaver species are shed during the opening of the petals. Many other forms of cataphylls, such as spines, are persistent. 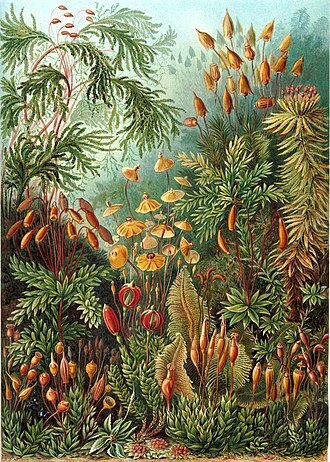 Examples of various kinds of cataphylls include bud-scales, bulb-scales, corm-scales, rhizome-scales, scaly bracts, each of these occurs in various forms and contexts, for example, bud-scales occur on various kinds of leaf or branch buds as well as on flower buds. The underside of a leaf. In this species (Tradescantia zebrina) the guard cells of the stomata are green because they contain chlorophyll while the epidermal cells are chlorophyll-free and contain red pigments. 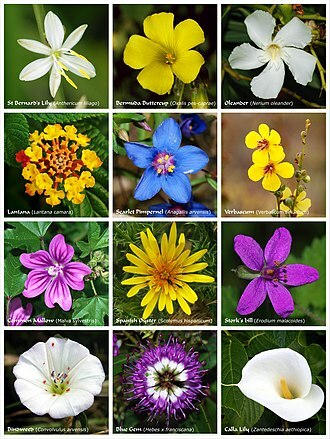 Cistus albidus is a xerophyte which grows in European countries such as France, and Italy and North African countris like Morocco. The succulent leaves of Dudleya brittonii are visibly coated with a 'powdery' white which is the epicuticular wax.